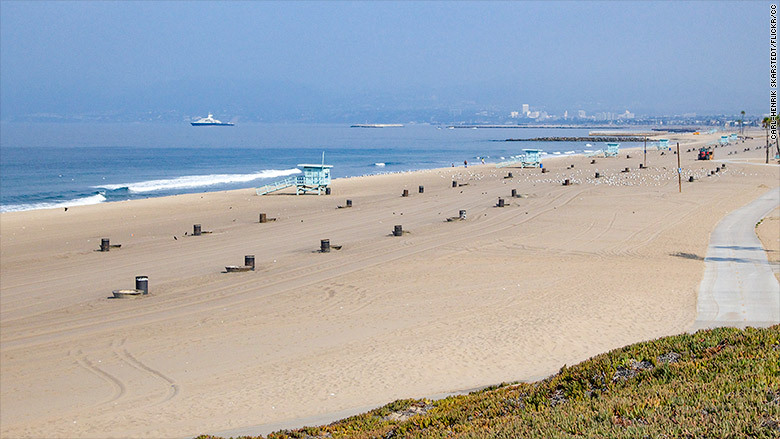 Talk about close to the airport: Dockweiler Beach lies directly under the LAX flight path. Sleep pods, beauty spas and gourmet restaurants are all well and good for passing time during a layover, but some major airports go one better. Well, almost. They've got a beach that's just a short hop from the terminal, allowing adventurous travelers to soak up some sunshine and surf while waiting for their next flight. Here are the best sands within striking distance of some of the world's biggest business hubs.